In full disclosure, I started this idea after switching up some patches on my bag. I liked the red of the new patch, so I took a picture with all red discs. Following this, I filled up a bag with all white discs. However, this time I actually took the bag out for a round, and had some legitimate success. Soon after, I tried all blue discs (probably the last color I have enough discs in to pull it off) and also had a good round. I don’t have a full report with scientific data backing up one color as better than another (sorry, if that’s what you were expecting). Yet I did find that by switching up my entire bag, I broke out of the routine I had worked myself into. For some, finding a routine is difficult, so you may not want to “break up the band” so to speak. But for others, if you quit relying on the same old discs you carry to do the work, you start to actually “throw the shots” you need instead. The confidence in a certain disc is nice, but the inner confidence in your own ability (this is where you dramatically picture yourself in a mirror pointing to your heart) is much more important. In the first round I threw with only “white” discs (gotta use ’em before the first big snow of the winter!) there were so many shots where I had to step back and think of my ability vs. the course. After I decided on the best shot, I’d look for a disc, and adjust accordingly. In the past, with my same old 18 “go-to” disc selection, I wouldn’t even pause. I’d just grab the flippy leopard or the beat-in Zone. I’d typically throw a shot in haste, and then immediately think, “Oops, looks like I should’ve thrown a different shot!” I suppose this is another way of saying it’s good to just slow down and think about each shot. Golf is a mental game. While it may sound easy to just say “SLOW DOWN,” it is a whole different story to successfully slow down and be your own positive influence; especially when playing solo. The second bag of one single color- WHITE- I threw some good scores with this selection! There were a few rounds last year when I encountered a similar boost in my game, and it was on a trip to Florida where I only brought back-up discs for fear of losing a great disc to an alligator (or are they crocodiles?). The foreign discs, that I wasn’t used to, made me get back to basics and trust each shot. When you really break it down, the simple excuse to mix things up is the important factor. If you decide to take all the distance drivers out of your bag and fill it with Rocs, or if you carry all putters. Perhaps you’re going to throw for an entire week with under-stable plastic; including putters. In any of these cases, it might be true that you’re limited, but there’s no way you’ll play and not learn something new. I, for one, don’t really like audible advice from other players. It isn’t because I don’t respect their ability, it’s simply because they’re speaking to something from the outside. For example, somebody might see you throw a crappy drive that hyzers out early. While you’re thinking, “I should’ve thrown a different disc!” They may pipe up and say, “You should try following through with your back leg!” Those are two very different lines of thought, and while they may both be valid, they don’t often intersect. So mix that stuff up. Throw some new molds, or maybe some old ones. It especially helps to mix things up with your discs if you’re playing the same course everyday. 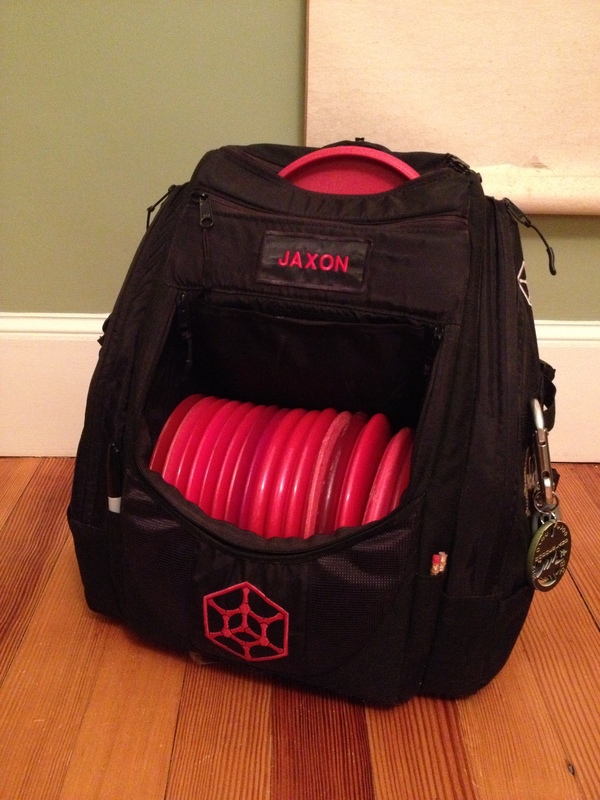 At the very least, if you carry a whole bag with one color disc, people will say things like, “Geeze, you really like the color red huh?” This gives you the chance to say, “Why? 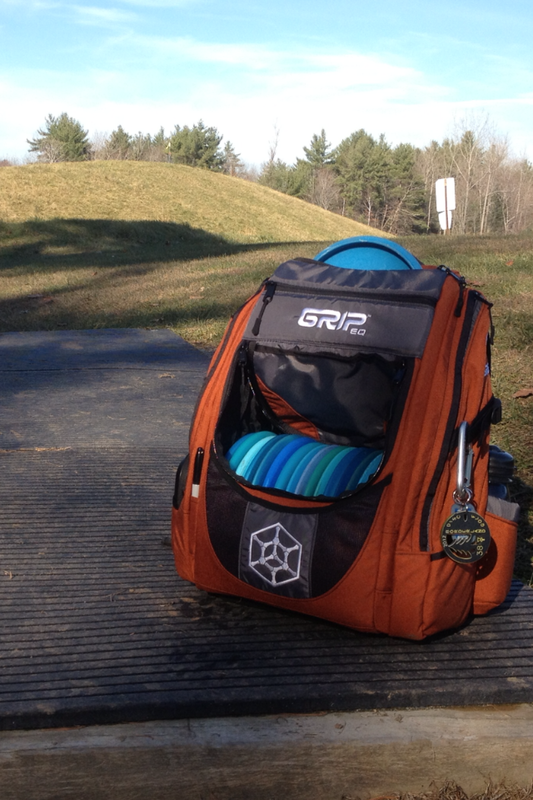 What do you mean?” And then when they say, “Dude, every disc in your bag is red!” You can just reply with, “Well, I’m colorblind, so it just happened without my knowledge.” Let them stew over that for a bit.. …and while they’re freaking out over how weird you are, throw some birdies. Boom. Great ideas, huh?!? 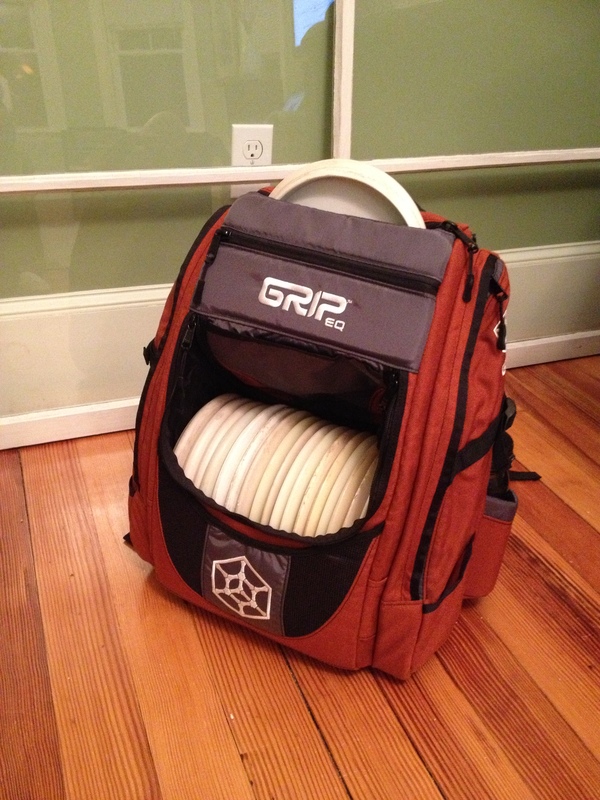 This entry was posted in Stories and Miscellaneous and tagged challenge, color, disc, golf, idea. Bookmark the permalink.